Before DC and Marvel comics, there was Combatron. 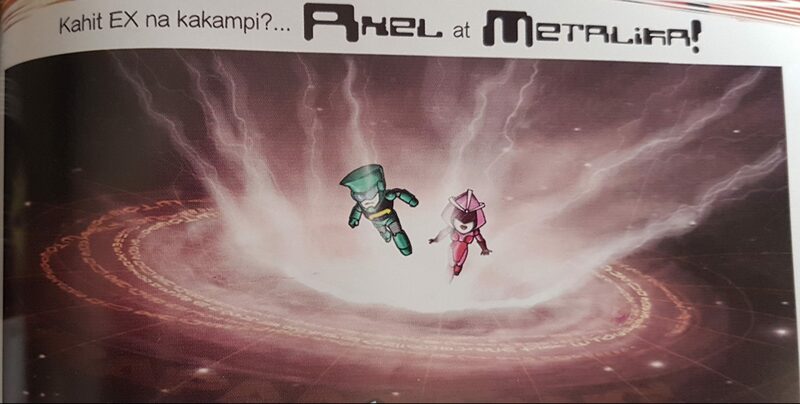 Ask any comic-loving 90s kid from the Philippines about the komik written by Berlin Manalaysay and you’ll see the glimmer of excitement in their eyes, the chance to connect with someone who also grew up on a weekly diet of Funny Komiks, the publication that ran the Combatron series from 1990 to 1998. During those years, fans followed the story of how a young orphan boy received armor from a dying space warrior and became Earth’s protector against the forces of the cyber-planet Omicron. 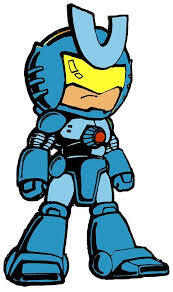 Over time, Combatron engaged in numerous memorable fights against other space warriors and gained friends of his own, some of which were even his former foes. 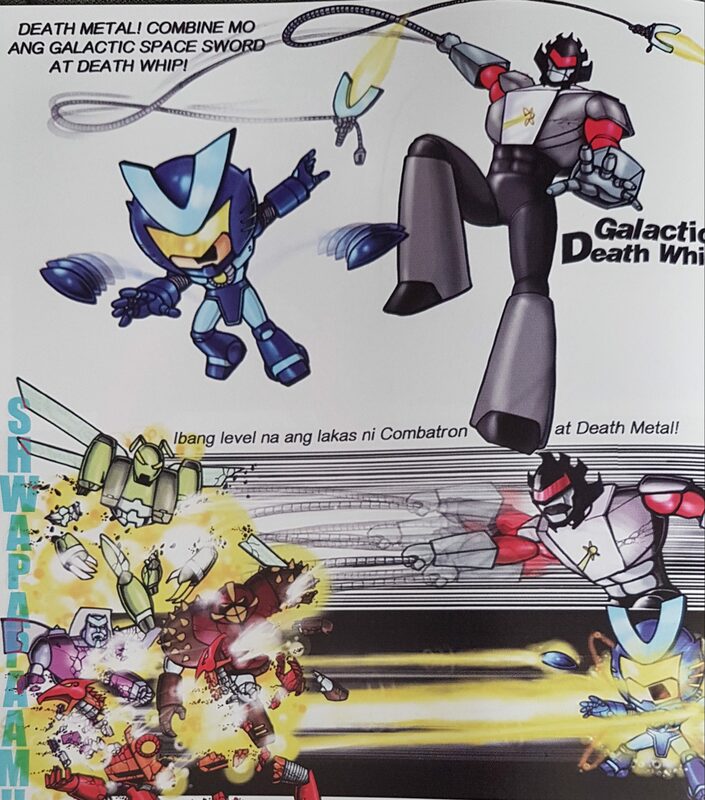 But just when Combatron and his strongest allies were about to have a final showdown against their most dangerous opponent, Megadeath, fans were surprised to see a very poorly drawn and rushed issue where Megadeath kills everyone, except Combatron, with a single blast. Combatron then retaliates by obliterating Megadeath with his Galactic Phoenix. All of this in a single issue, and none of it made sense! What’s worse was that social media and the internet were not in the picture yet at that time, so nobody could find any answers as to why the series ended the way it did. Rumors swirled that Manalaysay was no longer with the company, or he finally got tired of writing the story that he decided to just end it all with a Galactic Phoenix. Of course, now we know Funny Komiks decided that the series had become too “violent” for kids and pulled the plug. For years, fans were stuck with the unsatisfying ending, probably wondering from time to time what the real finale is, or who really died from the encounter and how. Thankfully, after 20 years, the long wait has finally ended and everyone’s patience paid off. Seemingly out of nowhere, Berlin Manalaysay reappeared in the local scene and announced the release of the final issue. 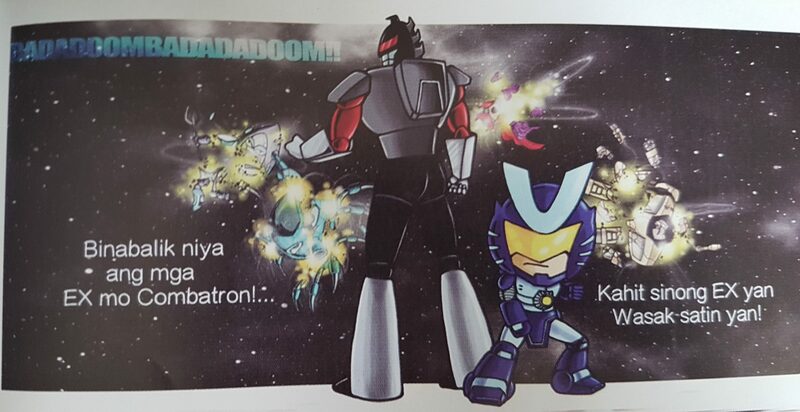 Dubbed as the “Final Chapter”, the generated excitement of reading Combatron again, or learning the real ending to the saga, was so palpable that the deadline for pre-orders of the komik was extended to accommodate all of the requests. So for all the loyal fans who weren’t able to reserve their copies, or on the fence of whether this is a good purchase or not, here are 5 reasons why I think it’s imperative that you go to Lazada and buy this gift for the kid inside you. Of course, one of the huge selling points in Combatron are the fight scenes, or to be more specific, their unique weapons and abilities. Combatron has his Nuclear Eye Beams, Space Thunder, Combatron Hip Discs, Galactic Space Sword, and the Combatron Foot Blades to name a few. 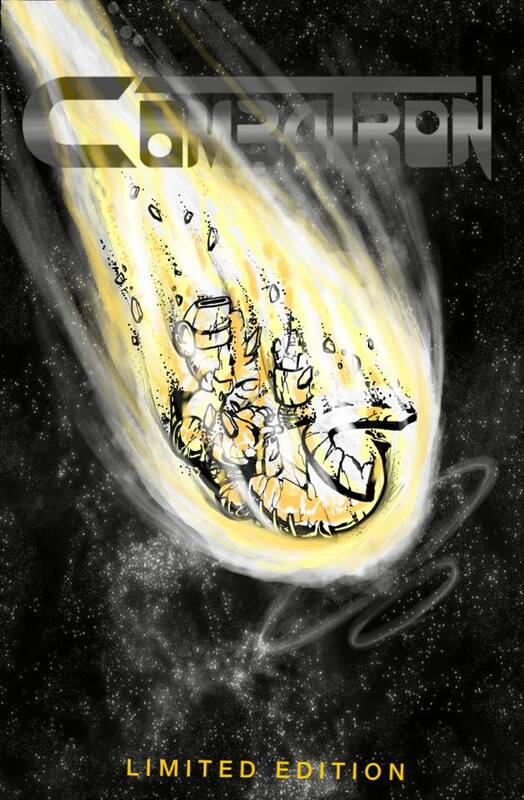 Death Metal deals destruction to everyone with his Galactic Death Whip, Death Seeker Missiles, and Death Comet. The latest issue completely delivers in this regard, showing our heroes unleashing their move sets like WWE superstars and their finishers. We’re even treated to new innovations to their tried and tested powers. Having gotten used to seeing them spamming their special moves until the enemy is destroyed, it’s a refreshing change to see Combatron and Death Metal performing combos like this. It feels like Manalaysay never missed a beat. The art is noticeably sharper and the colors are definitely of better quality than in the old komiks, but the characters still look the same as they did years ago. The new panel style is wider and does away with the old format we were familiar with, and it did take a moment for me to adjust to it, but it never took away from the overall experience. What about the dialogue? It’s exactly the same way as before! Our heroes didn’t trade away their endearing corny speech and jokes. 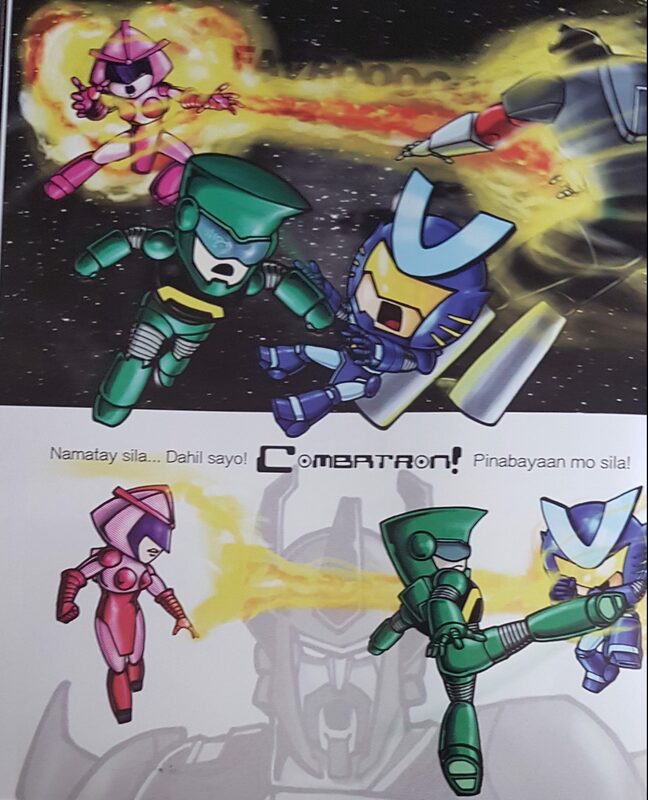 One of my fondest memories of the Combatron komiks of old is the Pinoy humor inserted in between the fights and dramatic moments. They were even breaking the 4th wall before it was brought to the mainstream by Deadpool. Where else could you have the cold and brutal Death Metal utter something like this with a straight face? Another reason I’m absolutely thrilled with the issue is somehow, it managed to bring back beloved old characters who’ve already passed on. I’m of course talking about Combatron’s long-time allies, Axel and Metalika, casualties of Megadeath’s invasion of Earth. Sure, they weren’t exactly the same characters that Combatron fought with, but it was still nice seeing them albeit briefly. Abodawn and all of the space warriors that Combatron had fought against also made a return for a giant rumble against him and Death Metal. Speaking of Death Metal, even his former elite henchmen Bracagon, Quietus, and Hellvetica made a small cameo. I’m actually surprised his former persona, Alchitran, didn’t pop in for the massive reunion of characters. You’d think people would feel deceived after turning the last page of the comic and the words “End of Part 1”, this issue was supposed to be the last after all, the one to tell how it all really ends. But it doesn’t feel that way for some reason. Maybe it’s because we already knew deep down the final showdown couldn’t be contained in a single issue, that it needs to gradually happen in order for it to be believable, to make sense. Or perhaps I’m simply caught up in nostalgia that I don’t want the story to be over just yet. I know I’m down for the series to continue beyond Part 2. A godlike Megadeath sounds like a twelve-part miniseries to me, and I’ll gladly buy all the succeeding issues if given the chance. I am so honored…Thanks for the review!